That’s the verdict of NBA legend Scottie Pippen. 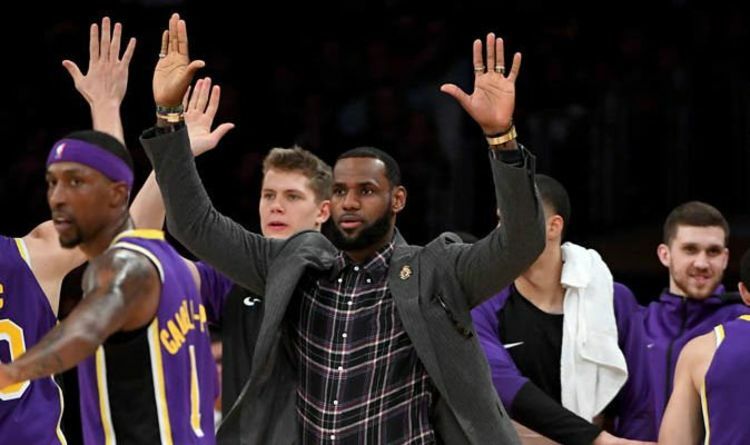 LeBron has missed the Lakers’ last nine games – including their heavy 113-95 loss at the Utah Jazz in which no Laker managed more than 17 points. LA have gone 3-6 without their marquee talent and they have dropped into the final playoff spot in the Western Conference with their record now 23-20 and the Jazz just one game behind. LeBron is certain to miss games against former team the Cleveland Cavaliers and the Chicago Bulls before being re-evaluated again on January 16 ahead of a trip to Oklahoma City. But his return then is not guaranteed and so far, he has only engaged in standstill shooting as he hopes to step up his rehabilitation in the coming days. Going without LeBron for much longer could be severely damaging to the Lakers’ chances of ending a five-year playoff drought. Yet Chicago Bulls icon Pippen – who won six championships alongside Michael Jordan – believes that LA should actually take as much time as possible bringing their star man back. This is LeBron’s longest spell off the court in his entire career and he has played all of the last eight NBA Finals, having also played 82 of 82 games for the Cavs last season. Despite his durability, there have been concerns such a workload could take its toll on LeBron – who is in his 16th season in the league and turned 34 recently. Pippen told The Jump on ESPN: “You can see in their scheduling that what another week could do for LeBron James. “We know how much he carries the team. “We’re going to be expecting him to take the long haul in terms of finishing out through the All-Star break and going through the season. “Any time you can rest LeBron James – you know it’s hard to get him off the court from an injury or anything – is valuable to your team. “It’s great to see the Lakers play without him and have some success without him as well, just a little bit. After going down to the Jazz, the Lakers return home to Staples Center to face Cleveland on Sunday night, 6.30pm PST (Monday, 2.30am UK time).